First published in 1911, On the Art of the Theatre remains one of the seminal texts of theatre theory and practice. Actor, director, designer and pioneering theorist, Edward Gordon Craig was one of twentieth century theatre’s great modernisers. Here, he is eloquent and entertaining in expounding his views on the theatre; a crucial and prescient contribution that retains its relevance almost a century later. 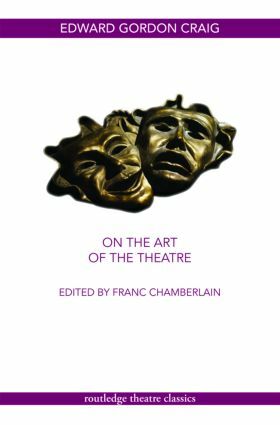 Controversial and original, On the Art of the Theatre stands as one of the most influential books on theatre of the twentieth century.